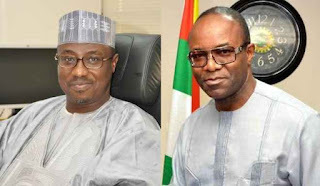 Following the current fuel scarcity witnessed during the Yelutide season, President Muhammadu Buhari has reportedly summoned the Minister of State for Petroleum Resources, Ibe Kachikwu and Maikanti Baru, Group Managing Director, Nigerian National Petroleum Corporation, NNPC, Vanguard reports. The meeting is said to be targeted at finding a lasting solution to the fuel crisis in the country. According to the report, the meeting will review all the issues involved in the scarcity, embrace the inputs of stakeholders and adopt measures that could assist to end it.